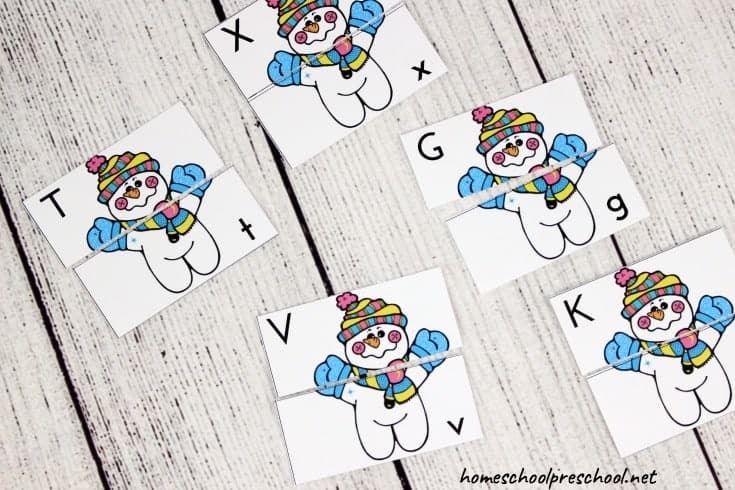 Preschoolers will work on letter recognition, handwriting, phonics, and more in these engaging, printable winter literacy activities! Temperatures are dropping, and winter is on its way. Soon, many of us will have snow if you haven’t already. Many more will be wishing for it. 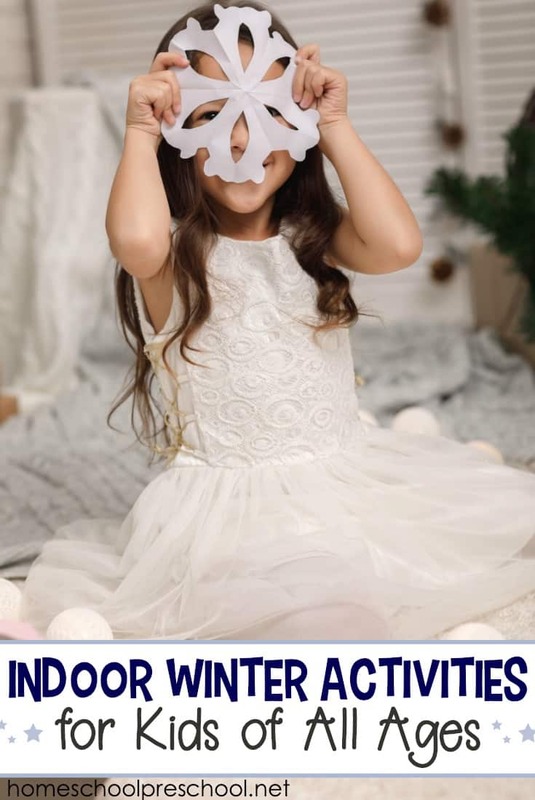 Keep your young learners engaged this season with a fun winter-themed preschool literacy activities pack that is low-prep and ready to go. 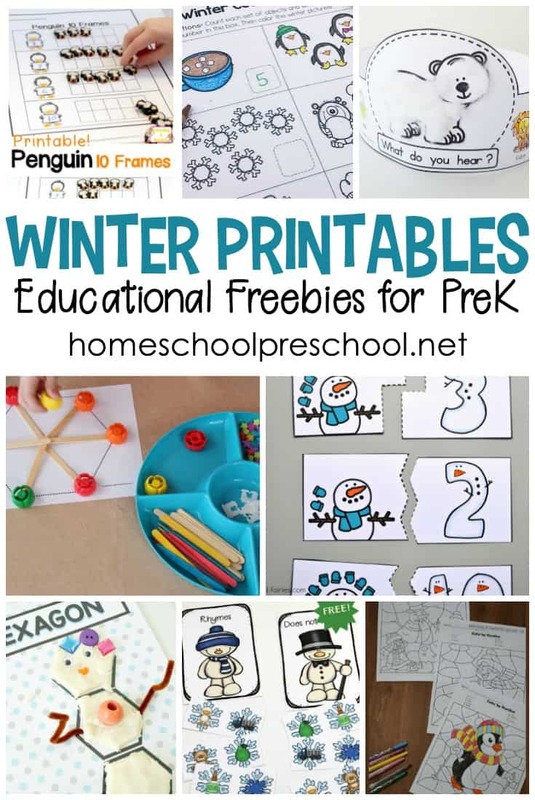 If you’ve been looking for fun, educational activities to add to your preschool lessons, you’ll love these winter preschool literacy activities. They include activities that focus on letter recognition, handwriting, beginning sounds, and more. Let’s take a peek at what’s included. The handwriting practice pages are available in two different fonts. I typically use the dotted font, but I had a teacher request the grey font because that’s what they use in their preschool. 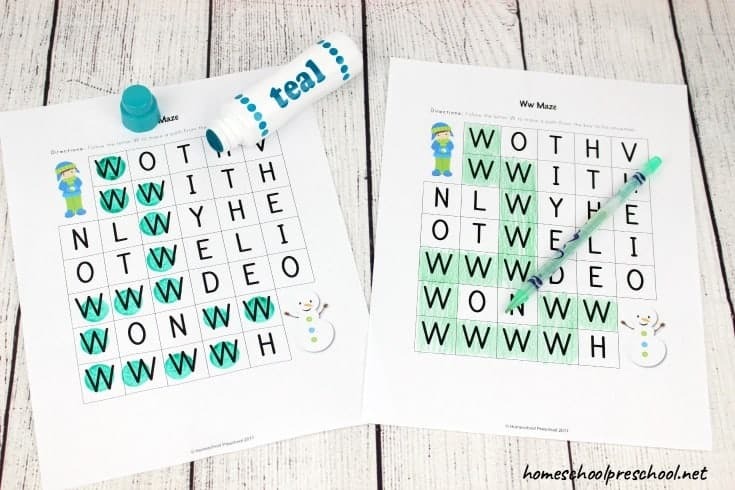 You will find tracing pages for the full alphabet as well as individual pages for the letters S, N, O, and W. There are also several color and trace pages. Alphabet matching cards are a great way for young learners to practice matching uppercase and lowercase letters. I recommend printing these cards on cardstock and laminating them for durability. Cut the cards in half, mix them up, and have young learners match the uppercase and lowercase letters. 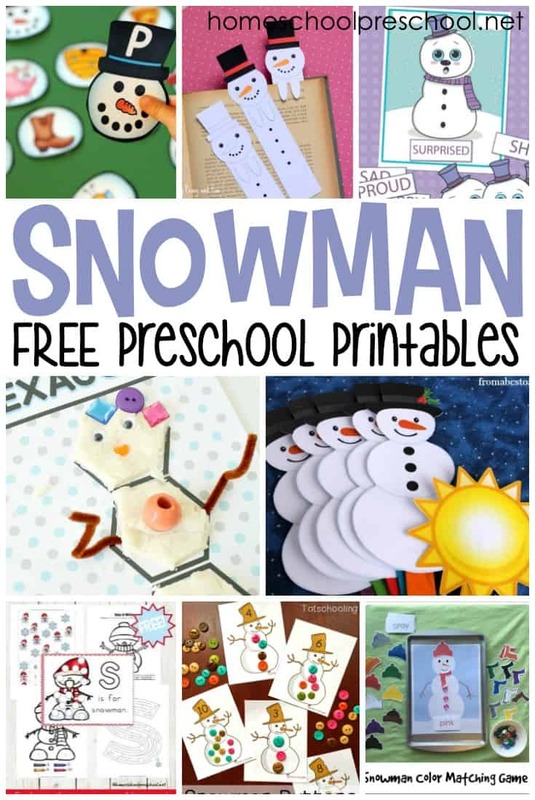 Because the snowmen are all the same, children really have to know their letters to complete this activity. They aren’t just looking for the matching halves. 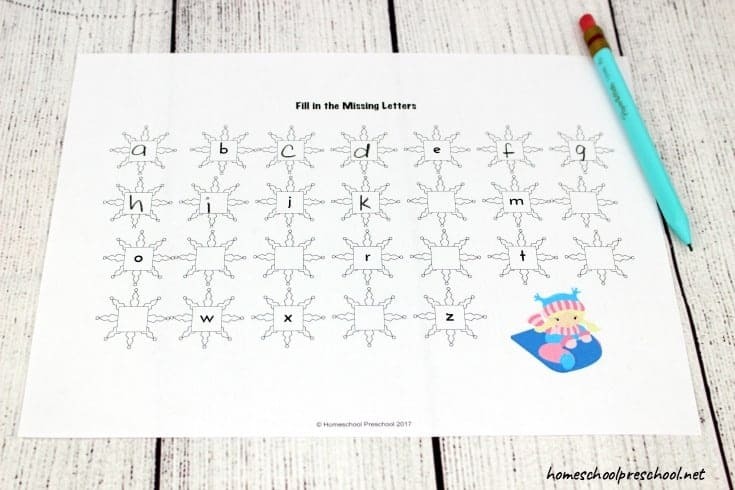 There are two fill in the missing letter activity pages. One page features uppercase letters while the other focuses on lowercase. If your child is a little unsure of letter order, you may want to create an alphabet strip for them. Just write all of the letters from A to Z in order. Then, your kids can check their work against the strip. Or, they can use it to recall proper letter formation as they fill in the boxes. 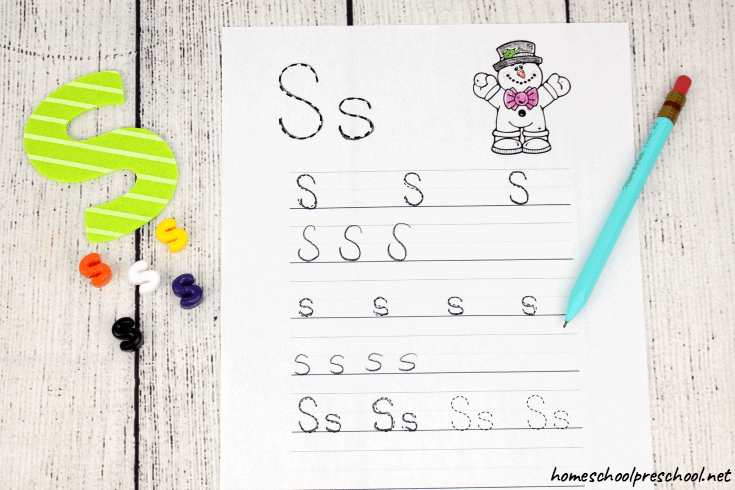 On the letter hunt page, little ones will use a dot marker to identify each letter S and s. If you don’t have dot markers on hand, your young learner can circle the letters with crayon or pencil. The letter mazes will help students with letter identification, as well. There is one puzzle for each of the following letters: S, N, O, and W. Students will trace a path through the maze by following the featured letter. 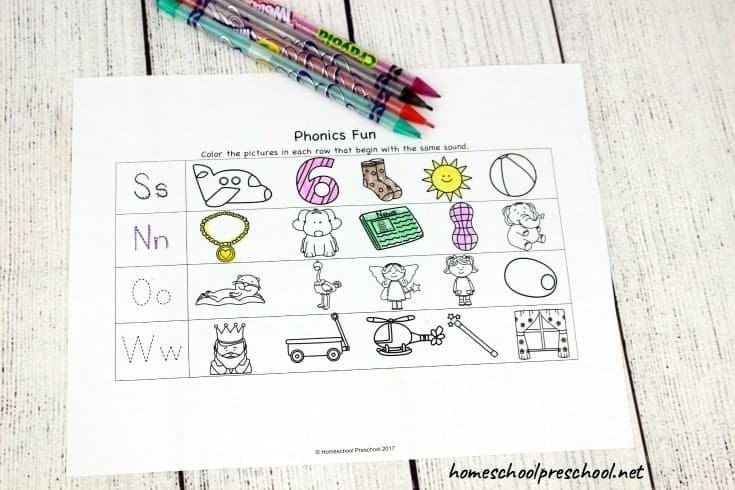 As with the letter hunt pages, students can use dot markers, crayons, or colored pencils to complete the activity. Letter identification is important. Learning the sound each letter makes is equally important. The phonics pages in this pack focus on the sounds that S, N, O, and W make. One phonics page has learners tracing the letters and then coloring items that begin with the same sound. The other phonics page asks “What else starts with S?” Students will color the pictures that begin with that sound. With this pack, you will be able to provide your young learners with hours of winter literacy learning and fun. 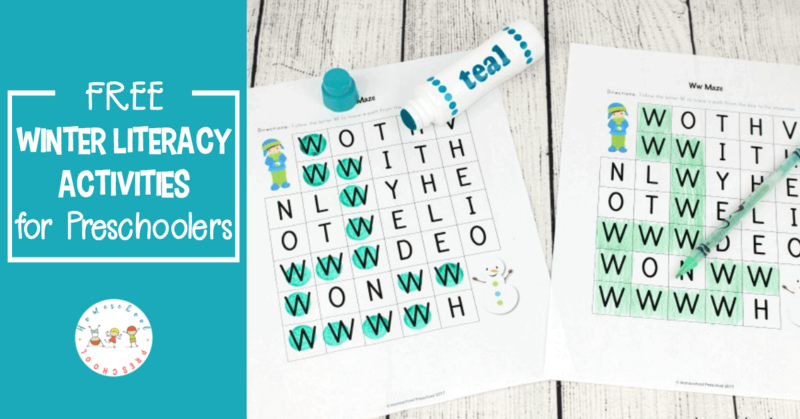 Download your winter literacy activities. 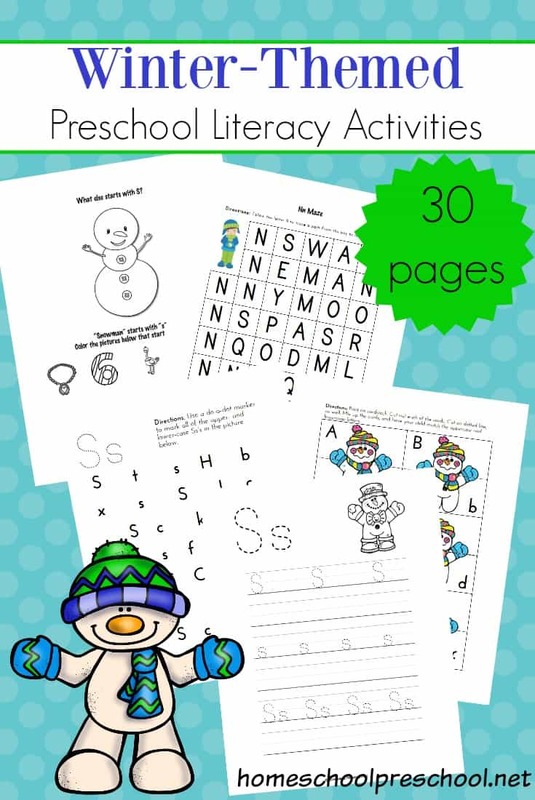 This winter literacy activities pack is free for Homeschool Preschool email subscribers. You may unsubscribe at any time. If you are already a subscriber, just use the email address that you are already subscribed with in the form below.